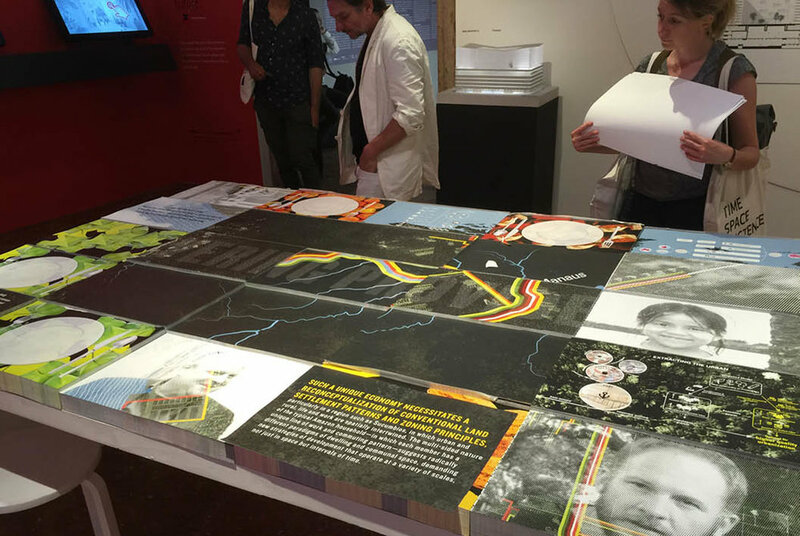 In 2016, Gensler was invited to partner with cityLAB/UCLA and Pontificia Universidad del Ecuador, to design the installations for two exhibitions at the Rotterdam and Venice Biennales of Divining Providencia: a strategic and spatial plan for a 10 sq.km. territory at the western edge of the Amazon basin. The Rotterdam Biennale was organized as a field of 100 tables. 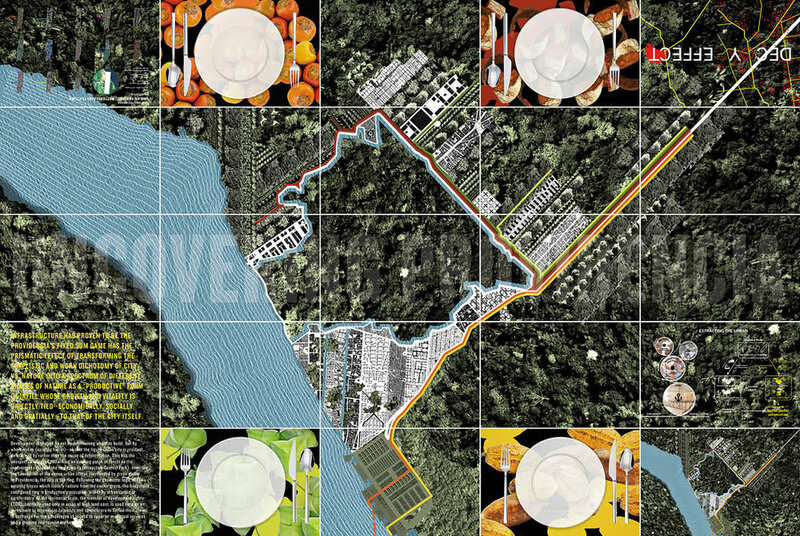 The installation design presented the project through the concept of a dining table, alluding to the consumption (and production) of the many resources of edible and medicinal value upon which the economy of the new town is based. Visitors were invited to sit at one of six place settings at which a different Amazon product was featured. 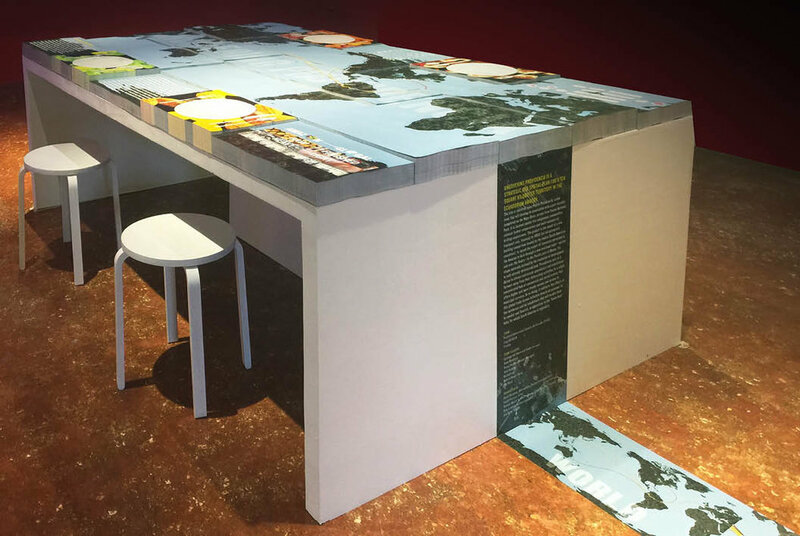 For the Venice Biennale, the dining table format was re-worked to maximize visitor engagement. Information about regional resources, trade routes and area inhabitants was depicted though six layers of diagrams. 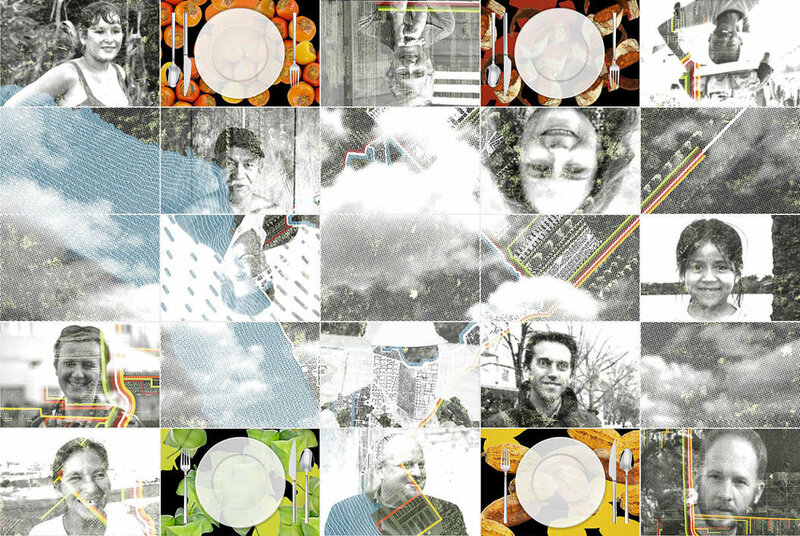 Maps at different scales, product information and portraits are subdivided and formatted into a grid of placemats. As the visitor lifts each placemat (s)he uncovers, like a puzzle, different layers of information about the project.